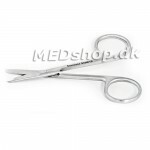 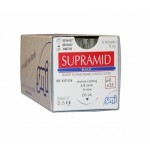 Supramid suture 3-0, DS 19 mm nål, 75cm, sort, non-resorp., 12 stk. 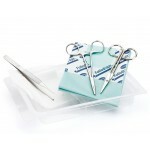 Leukosan Steri-Strips, 6 x 75mm, 30 stk. 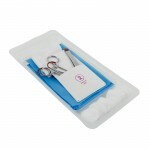 One-time suturing kit with 4 different metal instruments. 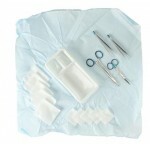 Sutures and strips for closure and wound treatments.